Happy Spring! We're talking about squirrels again this month. That's because, they're here! Our first orphans have arrived, displaced from an attic in Brewster. Unfortunately, a reunion with their mother was not possible, and they are in our care. 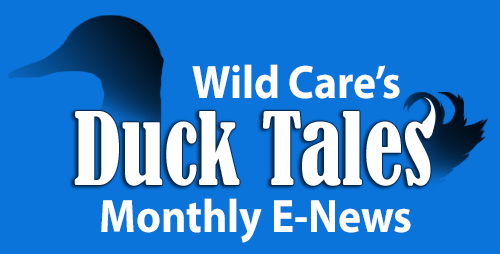 Wildlife Rehabilitation is important and amazing work! Our dedicated staff team of licensed wildlife rehabilitators works with over 275 species of wildlife. This winter has brought us many alcids (Razorbills, Dovekies, murres), loons, gulls, ducks and gannets. Not only does each species have different needs in terms of diet, housing, and conditioning... we also have to consider their lifestyle, the season, and the weather. Does this animal have a mate waiting for it? Can we release it in time for southern migration? 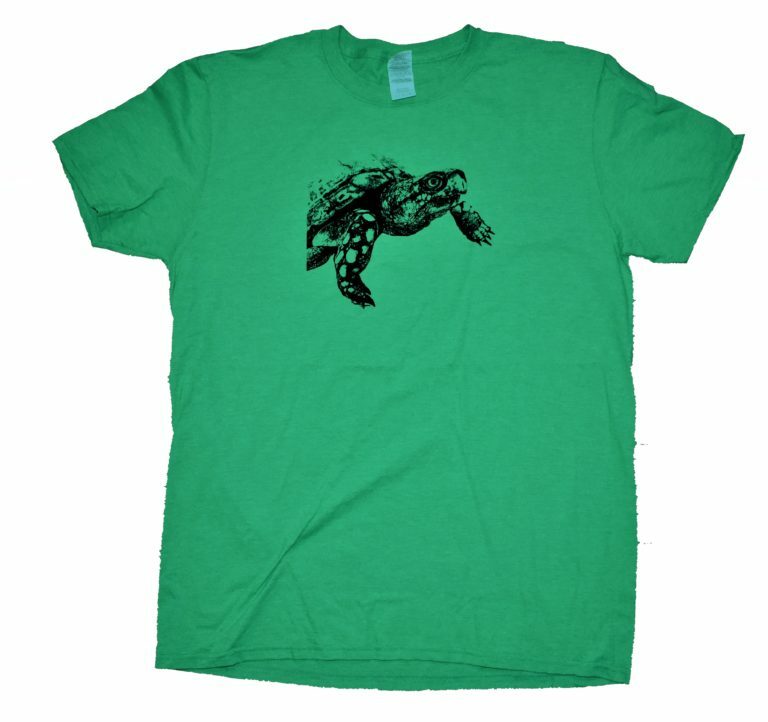 Is there a storm on the way that will prevent us from releasing this animal tomorrow? Does it have young in the nest that it has to get back to quickly? Furthermore, each individual has its own unique personality. Wildlife rehab requires not only skill and compassion, but a knowledge of the needs and requirements of a vast variety of species. I feel very proud of my team. They are the most incredibly knowledgeable and creative life workers that I know. Saving wildlife, one animal at a time! Time to get squirrelly everyone! ﻿Please consider making a Donation today. 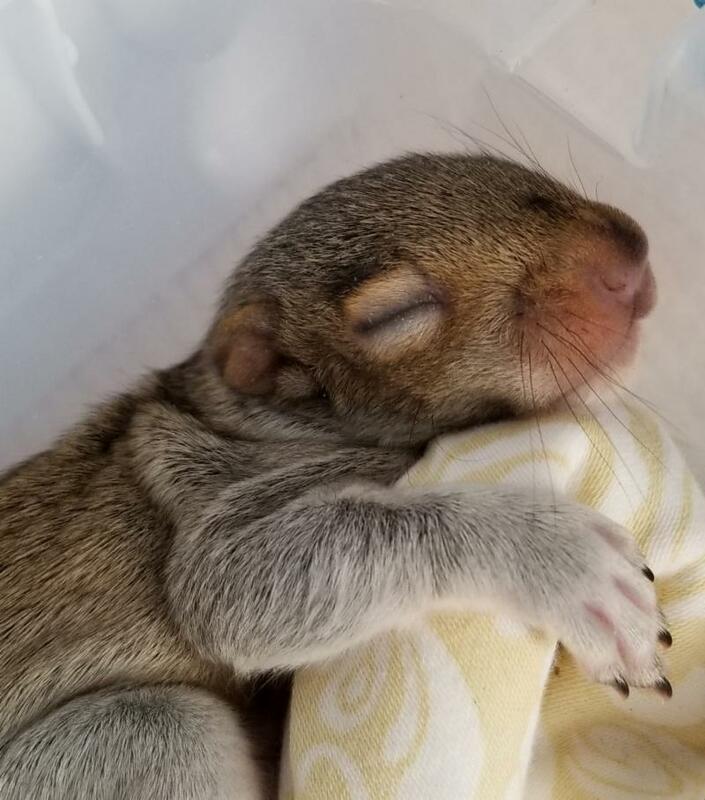 Your donation can help orphans like these Eastern Gray Squirrels. Spring is finally here! 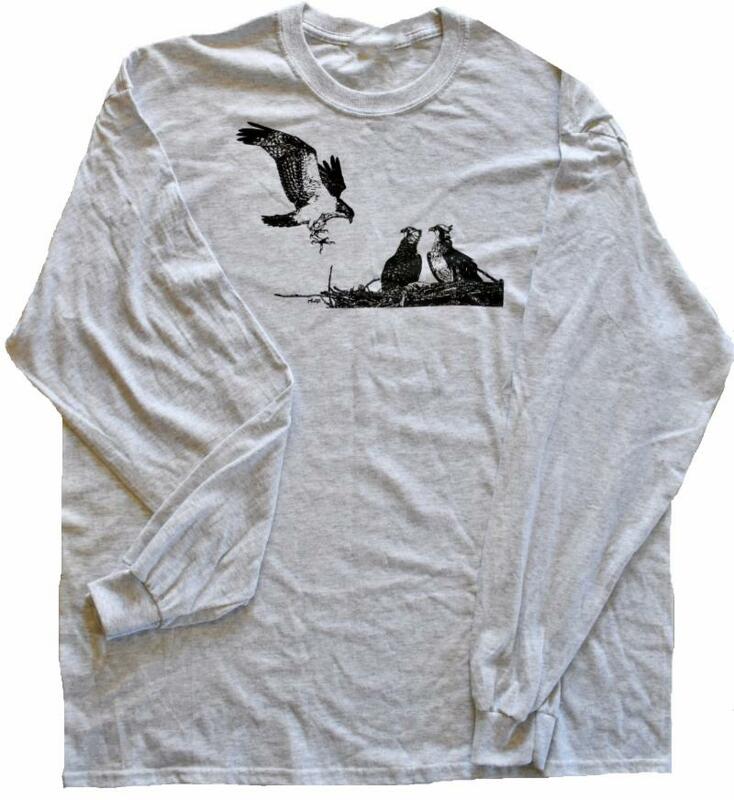 Birds are arriving, and we are gearing up for our baby season. 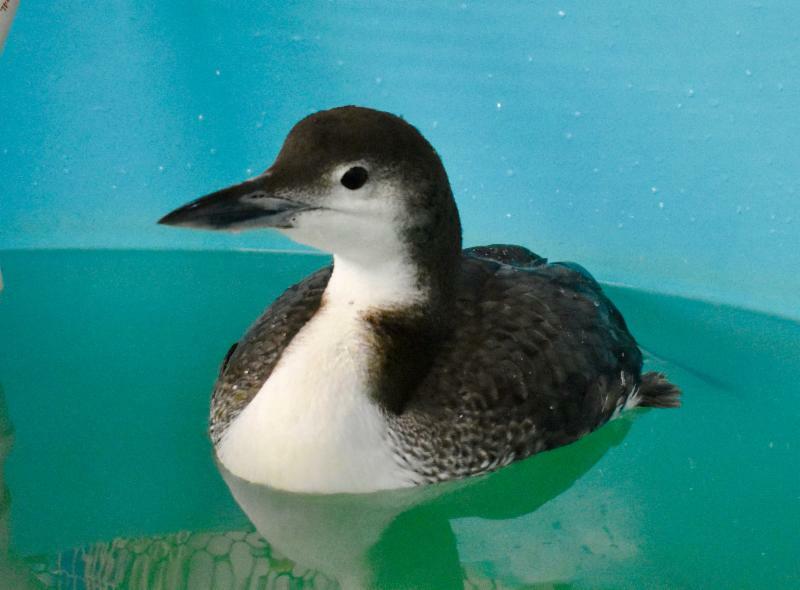 Did you know that we received over 300 orphaned birds last spring and summer? Make a donation today, and help us prepare for what spring has to bring! 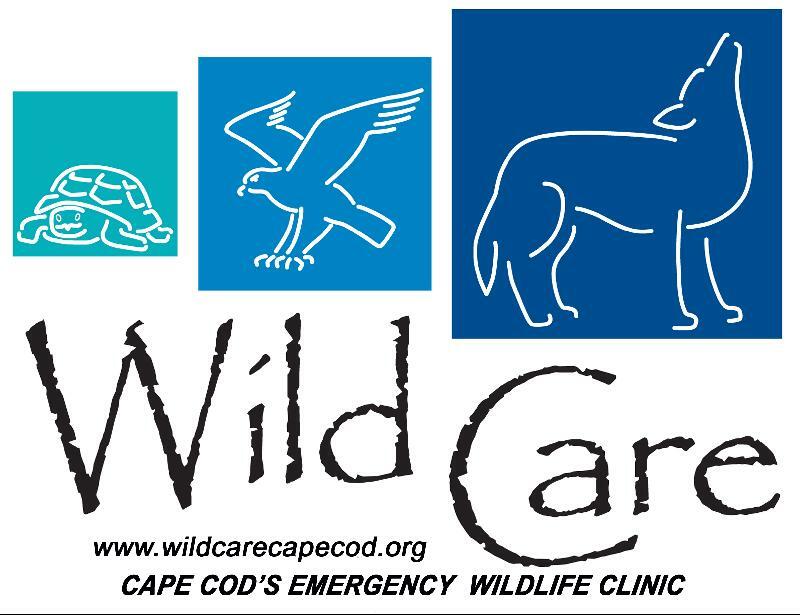 THANK YOU TO LOWER CAPE TV FOR TWO SEGMENTS FEATURING WILD CARE! 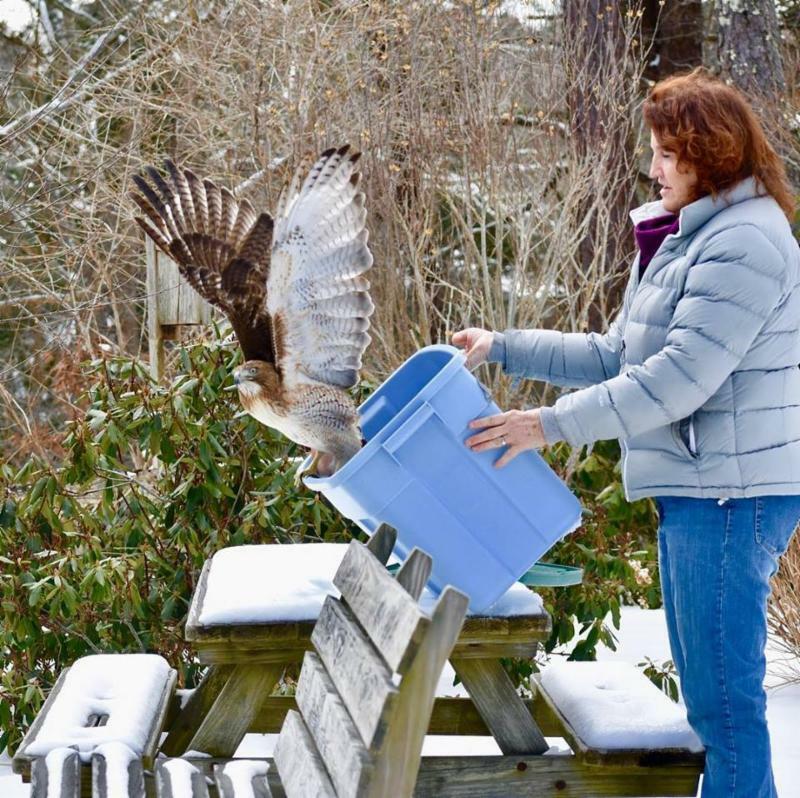 "Wild Care Helps Feathered Friends Brave Winter Chill"
"Coyotes Stir Up Controversy Across the Cape"
Red-tailed Hawk was treated for rodenticide poisoning and released in early March. Thank you Jayne Fowler. Stunning photo by Kerry Reid. 23 Whites Path in South Yarmouth. 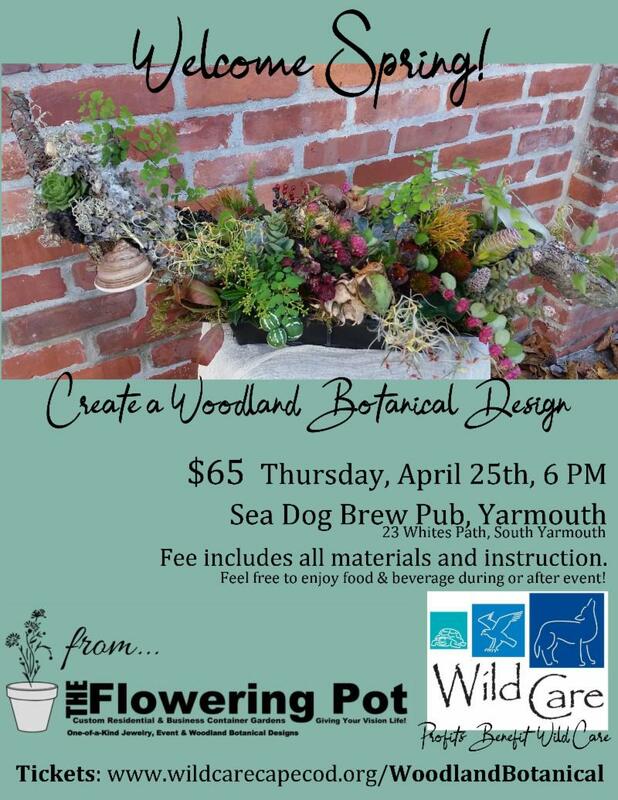 Attendees will create a one-of-a-kind woodland botanical floral design. 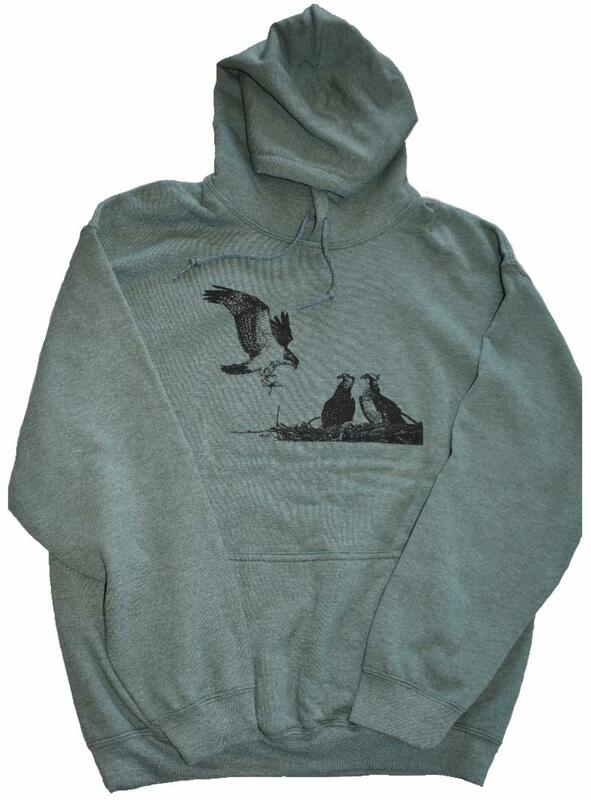 All instruction and materials are included in the $65 price. Woodland botanical floral designs capture the essence of an enchanted forest floor, in small scale, utilizing fresh flowers and both living and dried plant material. 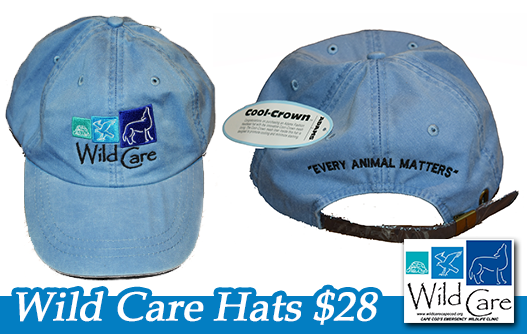 Wild Care Was in St. Louis! Thanks to the Eddy Foundation. We would like to thank the Mary-Louise Eddy and Ruth N. Eddy Foundation. 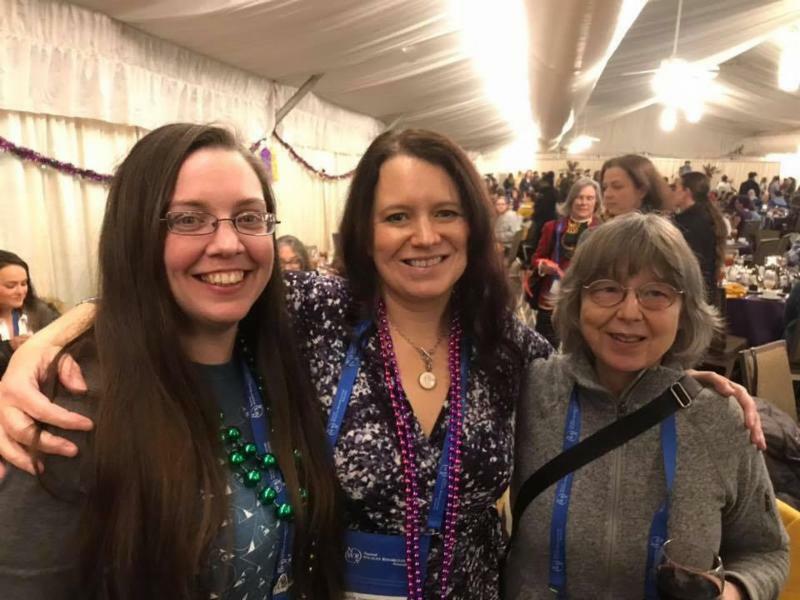 Thanks to their funding, Wild Care sent three staff members to the National Wildlife Rehabilitators' Association Symposium in St. Louis on March 5th-9th. 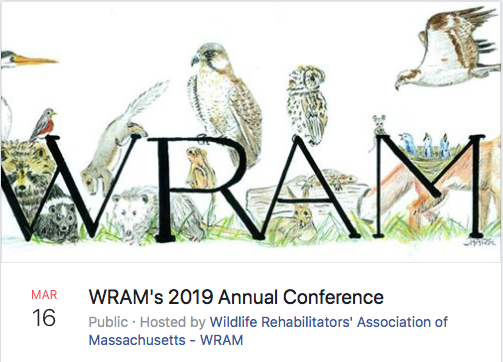 This is the largest wildlife rehabilitation conference in the United States, and an amazing place to network with wildlife experts! Wild Care was honored to be there. Our Executive Director, Stephanie Ellis was a guest speaker, presenting: "Swifts, Hummingbirds & Mice, Oh My! Wildlife Rehab of (not so) Tiny Proportions". Conference on Saturday, March 16th at Tuft's University in Grafton. 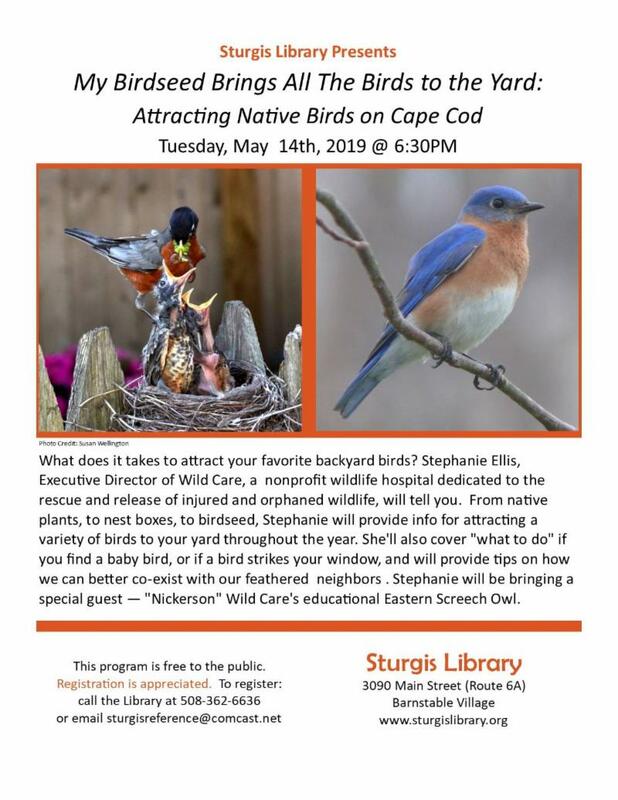 Wild Care's Executive Director, Stephanie Ellis was a Panel Presenter on the topic of: "2018 Newcastle's Virus" waterbird epidemic in Massachusetts. 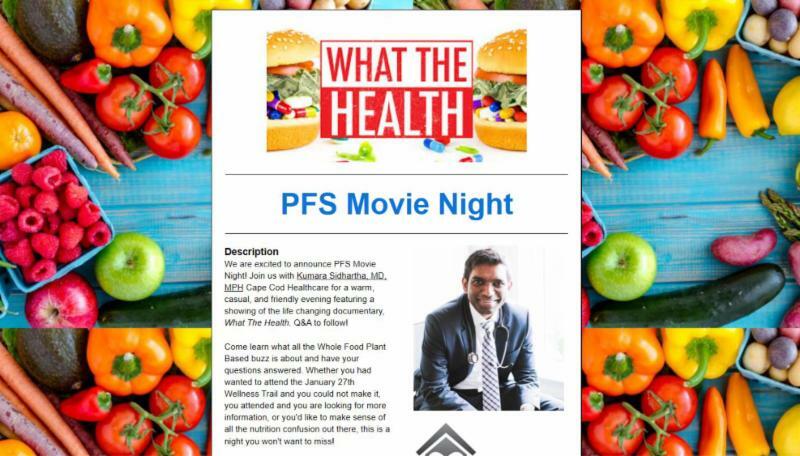 Join Kumara Sidhartha, MD, MPH of Cape Cod Healthcare for a warm, casual, and friendly evening featuring a showing of the life changing documentary, What The Health. Q&A to follow! 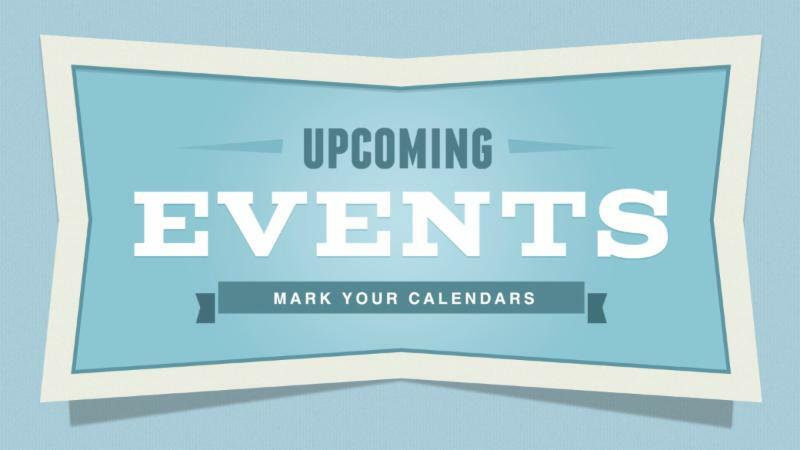 Come learn what all the Whole Food Plant Based buzz is about and have your questions answered. If you'd like to make sense of all the nutrition confusion out there, this is a night you won't want to miss! 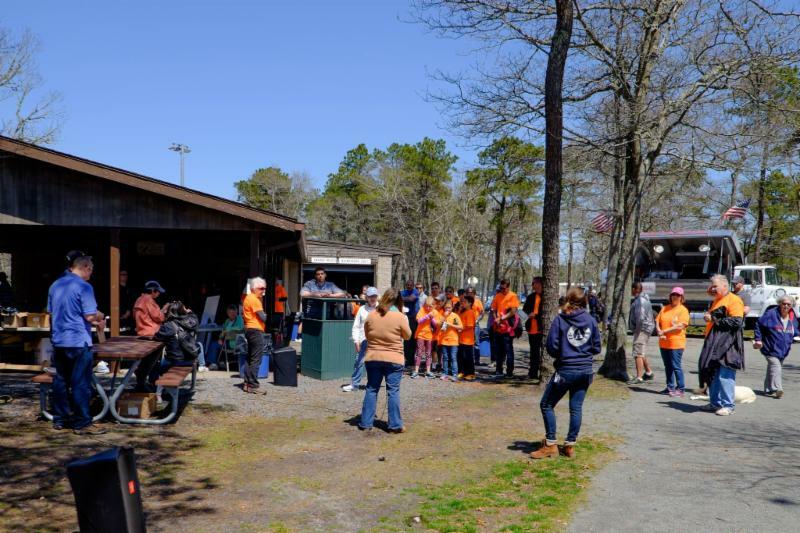 The Dennis Conservation Land Trust, along with the Town of Dennis Department of Natural Resources and the Department of Public Works, are proud to host the second annual Dennis Conservation Celebration. This event includes a town-wide litter clean-up event followed by a celebration of the town we know and love! Join us at Johnny Kelley. 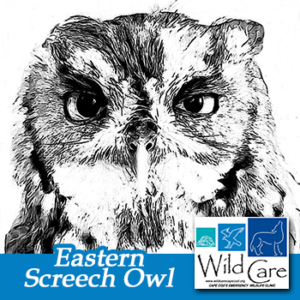 Volunteer Lunch and Non-Profit Information Fair - Stop by and visit Wild Care! W ild Care is grateful for our volunteers! We would not survive without them. They assist with everything from animal care, to gardening, facility maintenance, fundraising and so much more! 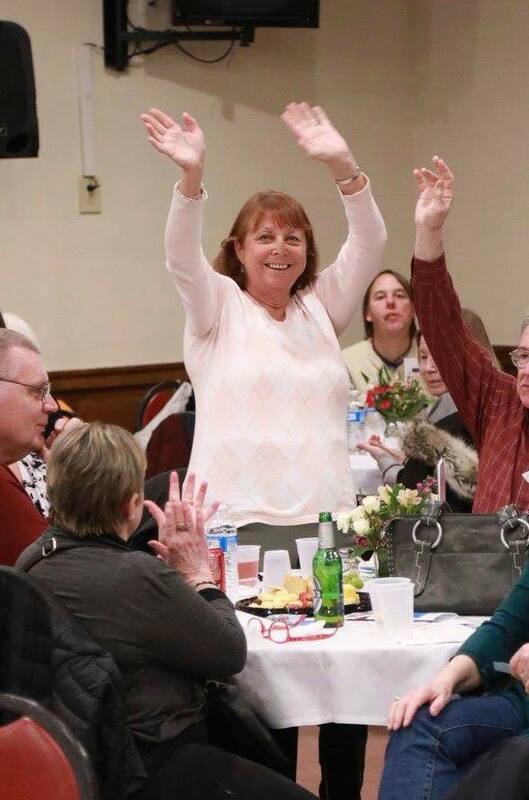 This month, we'd like to highlight outstanding volunteer, Roz Goldstein. Roz Goldstein has been volunteering with us since 2011. 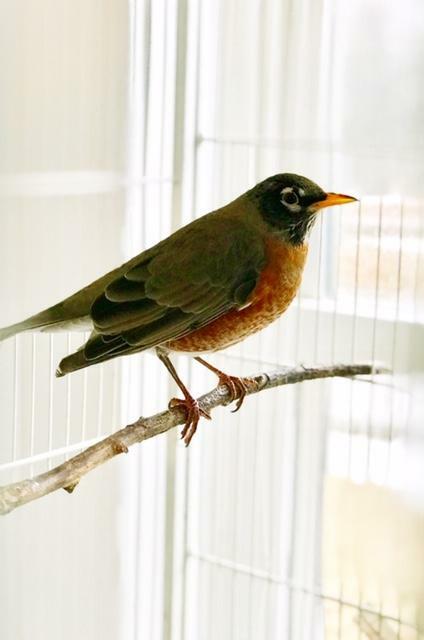 She is a Baby Bird Program and Clinic Volunteer, and also does Fundraising and Rescues. She does a great job feeding our baby squirrels, and is a valuable member of our squirrel feeding team. Her love of all things nature is inspiring to all. She is always offering to help with various tasks and is even on our "substitute" list. She comes in on Christmas every year, and helps us out in the morning. We really appreciate everything Roz does for us at Wild Care. Thank you, Roz! 9AM-5PM. 10 Smith Ln. 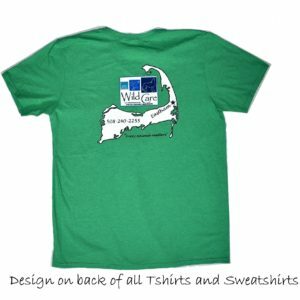 Eastham, or contact Kerry between the hours of 10AM-2PM, M-F to purchase over the phone at (508) 240-2255. 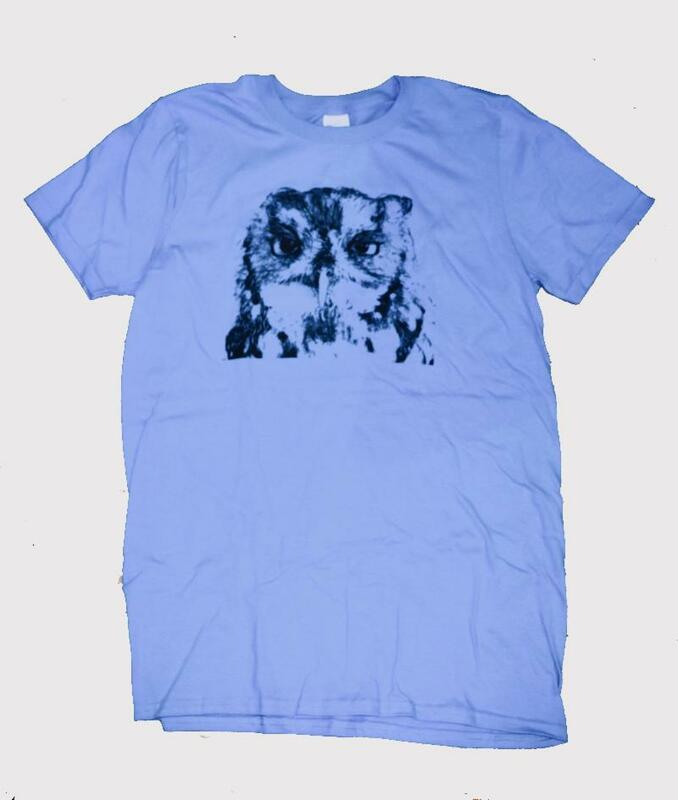 Merchandise s hipping charges vary. Read Our 25 Year Anniversary Piece! We just received our 2018, 4th quarter AmazonSmile donation of $234.55. Since 2014, we have received $1,326.80 to date from AmazonSmile thanks to our supporters. 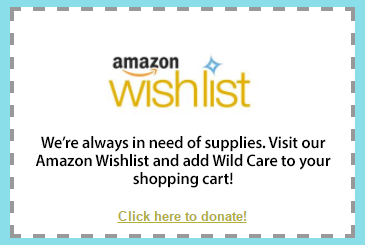 If you were thinking about purchasing something soon, we would be grateful if you used our Smile account, there is no additional cost to you, but a nice donation to Wild Care! And don't forget to take a look at our Amazon Wishlist, below!